2 Associates Of Michael Flynn Charged In Alleged Scheme To Smear Turkish Cleric The men failed to register as foreign agents, prosecutors say, and they even developed a plot to disguise the ultimate origins of payments they were receiving from Turkey. Cleric Fethullah Gulen spoke to reporters at his compound in Saylorsburg, Pa. His case was connected to new charges unveiled on Monday against associates of Michael Flynn. Two business associates of former national security adviser Michael Flynn have been charged in connection with an alleged plot to smear a Turkish cleric inside the United States with the aim of getting him extradited. Bijan Kian, an American who is Flynn's business partner, and Kamil Ekim Alptekin, a Turkish man, were indicted this month by a grand jury in the Eastern District of Virginia, according to court documents unsealed on Monday. The men worked for the company Flynn formed after he left government service. Prosecutors charge they did not properly disclose their work as foreign agents and, in fact, constructed a scheme to try to conceal the ultimate origins of their payments in Turkey. 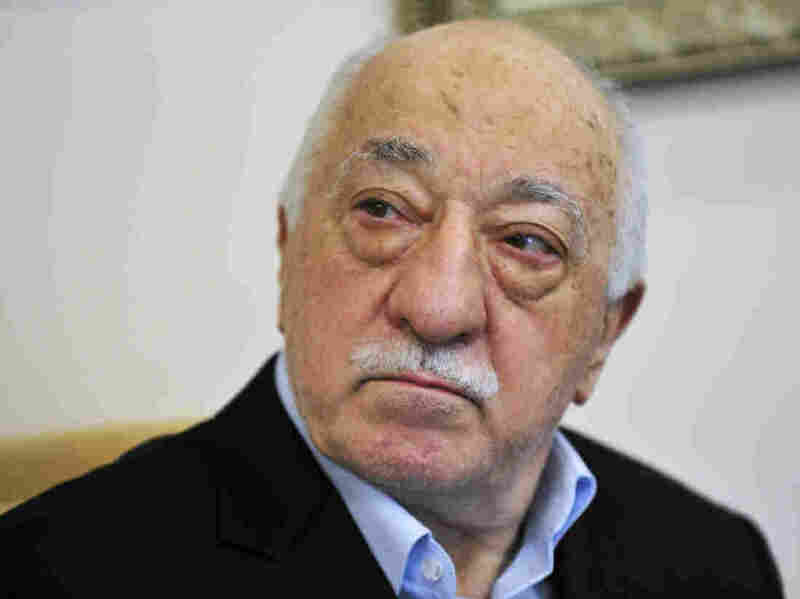 The Justice Department has resisted extraditing the cleric, Fethullah Gulen, because officials don't see evidence he had directed a coup in Turkey. Turkish President Recep Tayyip Erdogan blames Gulen for the attempted coup two years ago. Gulen denies that he played any role. According to some reports, the question about whether to extradite Gulen may remain a live issue within the Trump administration. Turkey's government has tried to help along the case. The new court papers say Turkish officials approved the budget for the lobbying campaign and received regular updates. The goal was to build public pressure against Gulen inside the United States to create an incentive for the government to send him back to Turkey. But Flynn's business associates did not register their activities with the attorney general as required, according to court documents. Flynn has been cooperating with prosecutors after he pleaded guilty to unrelated charges and is due to be sentenced this week.